^ Djavadi, Abbas (19 July 2010). "Iran's Ethnic Azeris And The Language Question". RadioFreeEurope/RadioLiberty. Retrieved 24 January 2016. ^ electricpulp.com. "AZERBAIJAN viii. Azeri Turkish – Encyclopaedia Iranica". 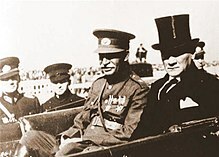 www.iranicaonline.org. Retrieved 24 January 2016. 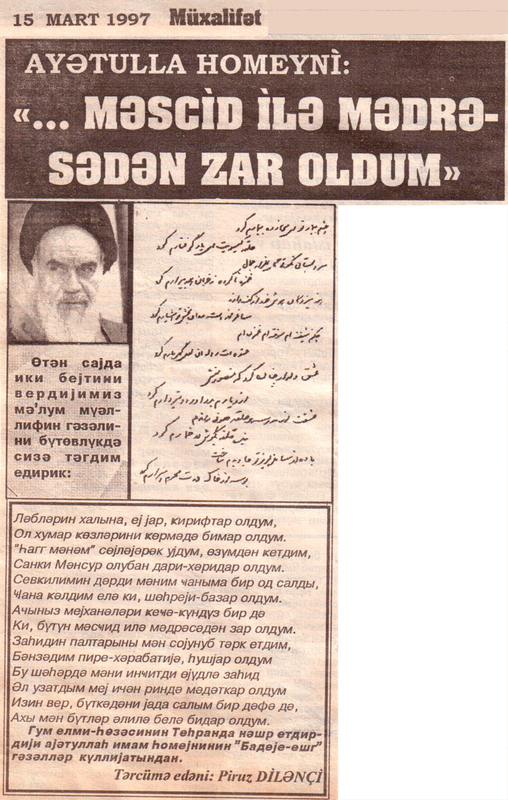 ^ "Greetings to Heydar Baba". umich.edu. Retrieved 8 September 2010. ^ "Azerbaijani, South". Ethnologue. 19 February 1999. Retrieved 13 July 2013. ^ "The World Factbook". Cia.gov. Retrieved 13 July 2013. This page was last edited on 24 April 2019, at 23:16 (UTC).